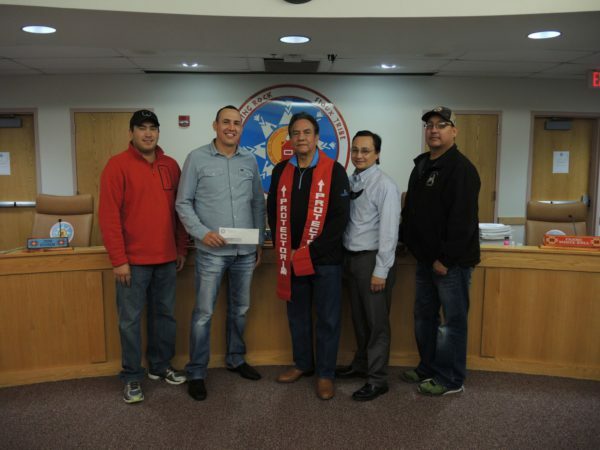 A delegation from the Cherokee Nation hand delivered a $10,000 check to the Standing Rock Sioux Tribe this week to help with attorney fees and other costs to keep out the Dakota Access Pipeline which threatens the tribe’s sovereignty, resources and water supply. 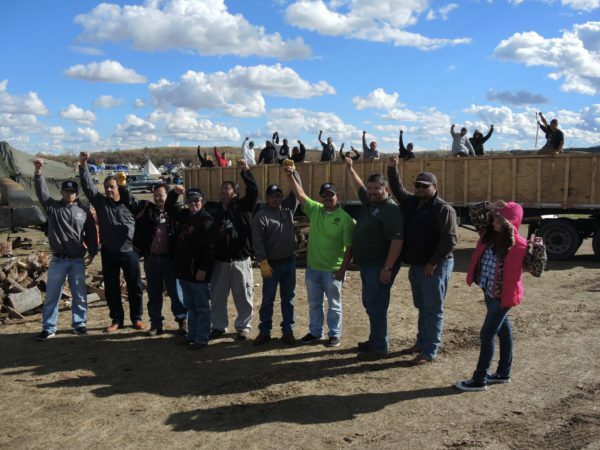 The Cherokee Nation also delivered three truckloads of firewood to the Sacred Stone campsite in North Dakota where thousands of Native people are gathered and camped in the frigid weather to protest the pipeline construction underway. Cherokee Nation Secretary of State Chuck Hoskin Jr. and Tribal Council Speaker Joe Byrd and other tribal representatives met with Standing Rock Sioux Vice Chair Jesse McLaughlin and Tribal Councilors, as well as campsite leaders and water protectors to offer the Cherokee Nation’s full support.“The Cherokee Nation is a Nation of people who have been dispossessed, forcibly removed and had economies built on the backs of our people in their natural resources. That is a history that the Lakota and Dakota who are now protesting the Dakota Access Pipeline share,” Hoskin Jr. said. 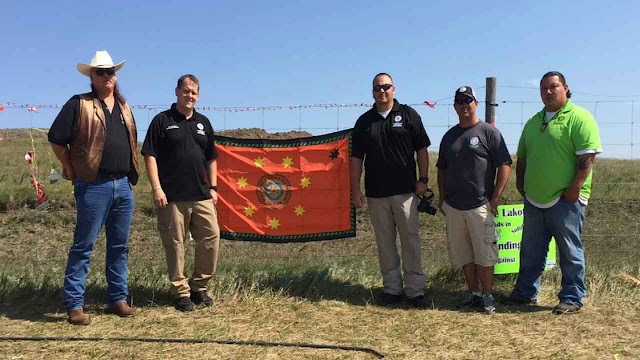 “It is a history that Indigenous people all over this world have shared and we are here to help change that history.”Standing Rock Sioux Tribe Vice Chairman McLaughlin said hundreds of tribes have now pledged support and it means a lot to have one of the nation’s largest tribe’s in its corner.“Having the Cherokee Nation stand in solidarity with us means so much,” McLaughlin said. “We are grateful. It’s getting cold and we are hunkered down until the end so we want everyone to stay warm. Firewood, fuel, and winterized tents are the biggest needs.”The Cherokee Nation, upon recent approval from its Tribal Council, donated $10,000 to help the Sioux Nation with attorney fees and other costs to keep out the pipeline. The Cherokee Nation also delivered 54 ricks of wood on October 18th to the campsite. To date the tribe has sent more than 100 ricks of wood and plans to send another shipment next month.“This is the first time in history of tribes sustaining this much energy for one cause. Responses to "Winter is Here: Cherokees send aid to Standing Rock Sioux"
They are the true Americans!